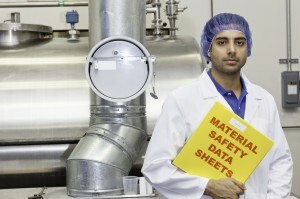 Changes to chemical safety data sheets and the classification of hazards are part of OSHA’s new Final Rule regarding chemical hazards in the workplace. Picking up from OSHA’s New Final Rule: Hazard Communications in the Workplace (Part 1), the following is some additional information regarding new OSHA regulations that have been enacted as a way to minimize the number of workplace injuries (and resulting workers’ compensation claims) associated with handling or coming into contact with chemical hazards. While Part 1 of this blog focused on the consistent chemical labeling system that employers will have to adopt by December 1, 2013, here in Part 2, we will focus on the new OSHA regulations regarding the updates required for Hazard Communication Standards. Label changes that will require chemical manufacturers, as well as companies that import chemicals, to include specific types of labels on chemicals. These labels must have the chemical’s hazard class and category, an OSHA-approved pictogram and any necessary warnings regarding the chemical. Training on these changes that employers are required to conduct for employees by December 1, 2013 in order to ensure that employees who deal with chemicals are aware of the latest changes to OSHA regulations. 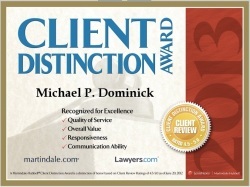 If you have sustained any type of workplace injury and are considering (or in the process of) filing a workers compensation claim, it’s essential that you contact the Colorado workers compensation lawyers at the Law Office of Michael P. Dominick. Our legal professionals have a proven track record of success when it comes to securing our Clients the maximum possible compensation for their injuries and financial losses. For a thorough evaluation of your case, along with expert advice on the best manner in which to move forward, call us at (303) 447-2644.